284 pages of our fascinating history authored by more than 85 notable local experts and filled with over 800 vintage photographs and lithographs! 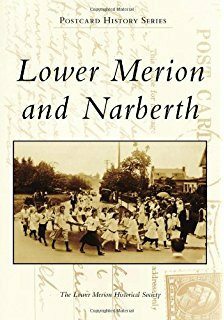 Authored by The Lower Merion Historical Society and edited by Jerry Francis and Sarah Francis; it is part of the Postcard History Series that is published by Arcadia Publishing Company. It is 128 pages with more than 200 historical images. Please use our Advanced Search to search the full text articles. The complete text, comprising 1,211 pages of this 40 year diary of a prominent local Quaker. Chapter 1, describing the history of Lower Merion Township. A description of manufacturing locations in Lower Merion, paper, powder and cotton mills as well as Pencoyd Iron Works. This handwritten history of Lower Merion was transcribed by the Lower Merion Historical Society in 2001. This handwritten history of Lower Merion Academy was transcribed by the Lower Merion Historical Society in 2007. Glimpses of Lower Merion by Charles R. Barker. Planned as a series of newspaper articles, but never published. 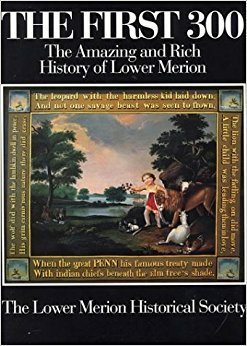 Portion of this volume, published by the Montgomery County Federation of Historical Societies, concerning Lower Merion Township. A description of the lives of wealthy residents of Lower Merion and the mansions they built along the Main Line. Brief biographies of 350 notable residents of Lower Merion. A history of this 1812 schoolhouse, which has been in continuous use for educational purposes. Brief history of public schools. 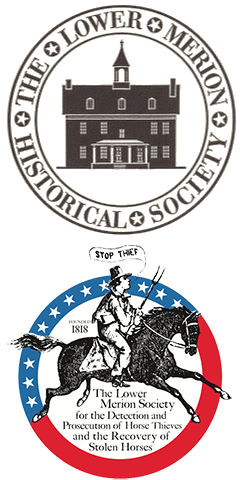 David J. Schmidt Collection – A collection of articles by journalist and history specialist for Main Line Life David Schmidt. Recipient of the 2001 Historical Architectural Review Board Journalism Award for Outstanding Service.